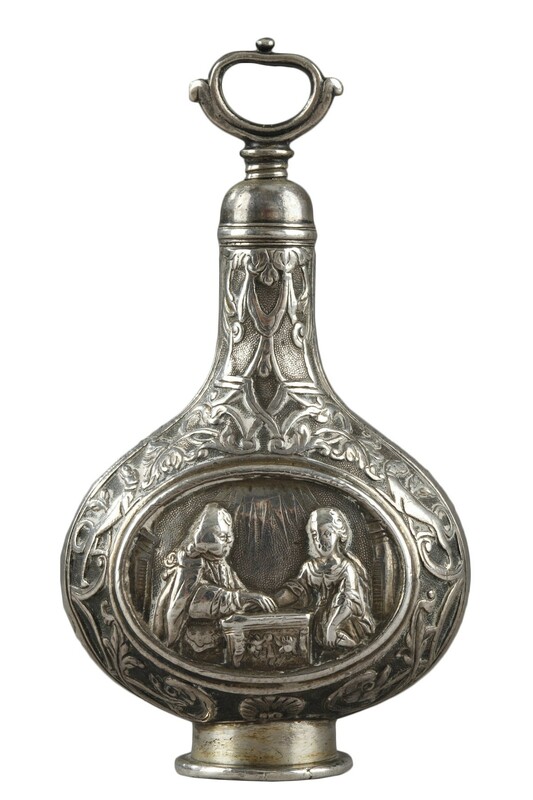 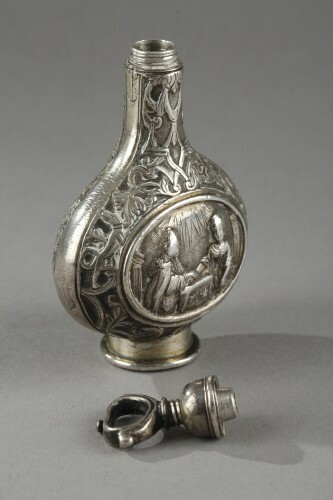 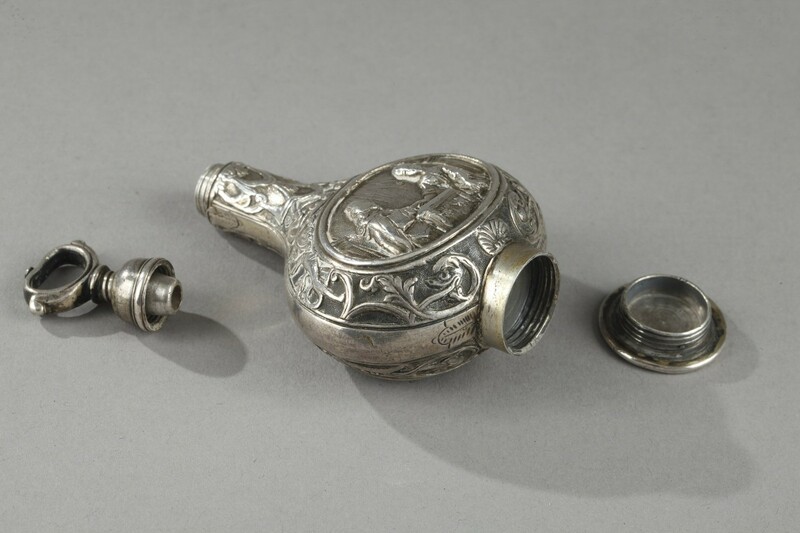 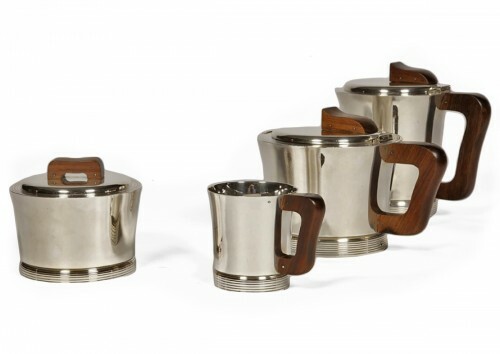 AnticStore > Catalogue > Antique Silver > 18th century > A Silver Scent Bottle in the Shape of a Pilgrim Flask. German 18th century. A Silver Scent Bottle in the Shape of a Pilgrim Flask. 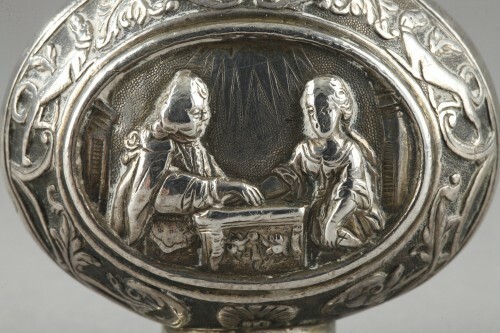 German 18th century. Antique Silver Scent Bottle in the shape of a Pilgrim Flask German. 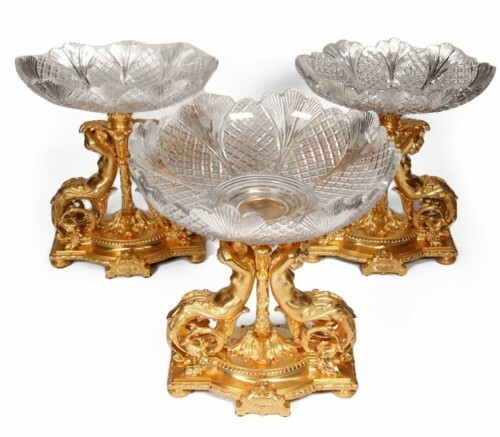 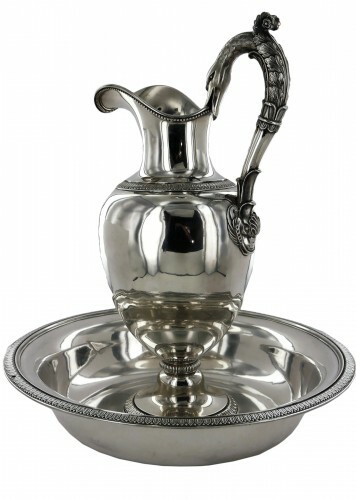 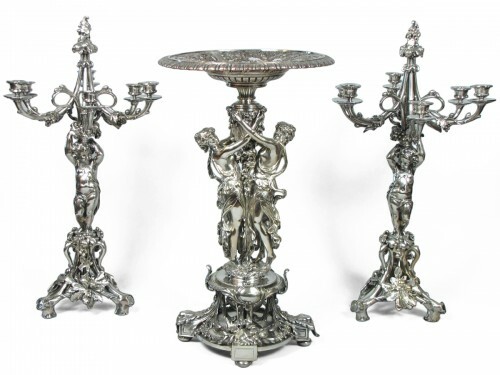 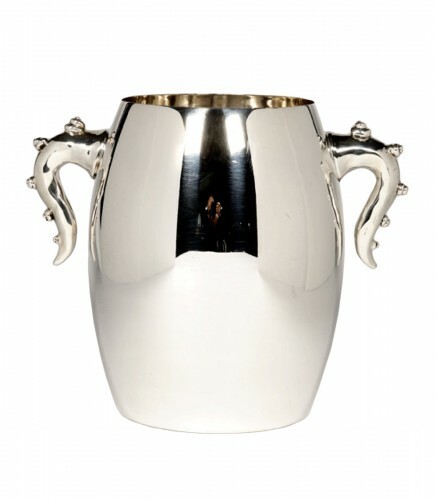 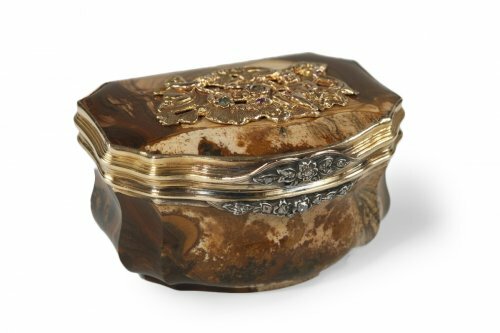 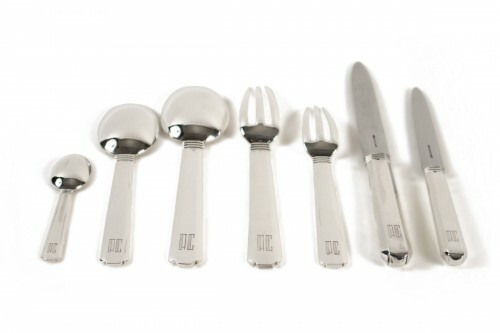 Its silver surface is decorated with elaborate scrollwork and two oval medallions. 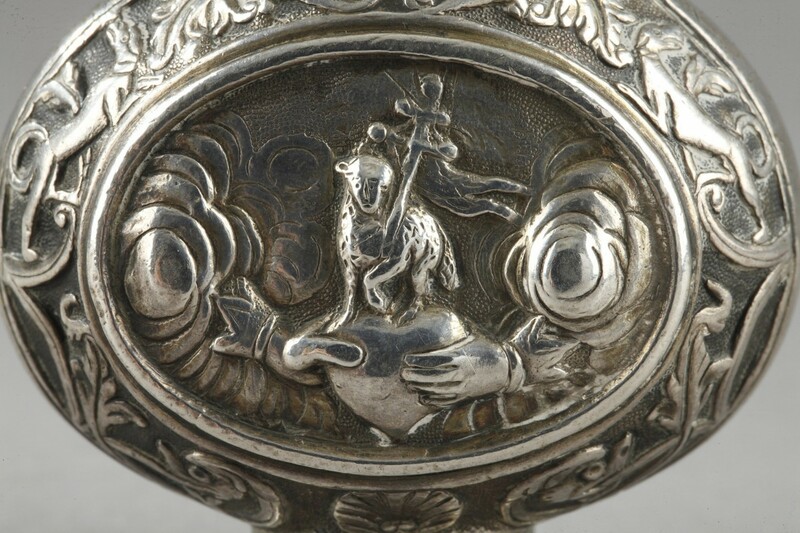 On one side, a wedding scene is represented, on the other, two hands joining on a heart and surmounted by a lamb and a cross. 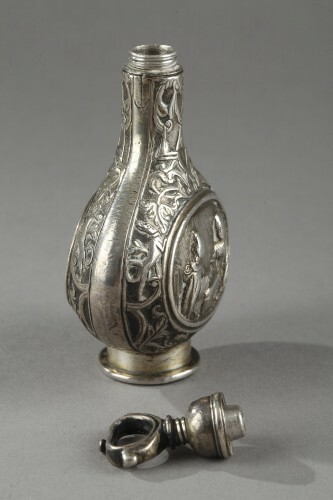 The bottle opens in the upper part but also at the level of the foot. 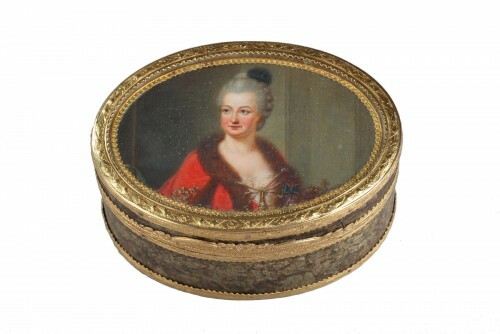 A removable lid probably allowed to slip pills or perfume. 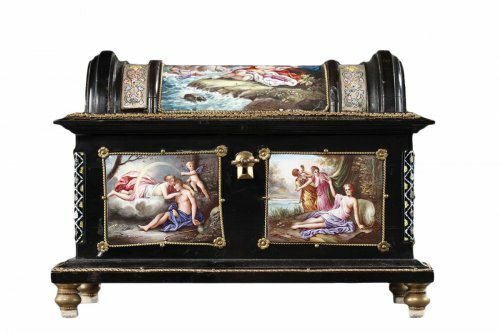 probably German in origin. 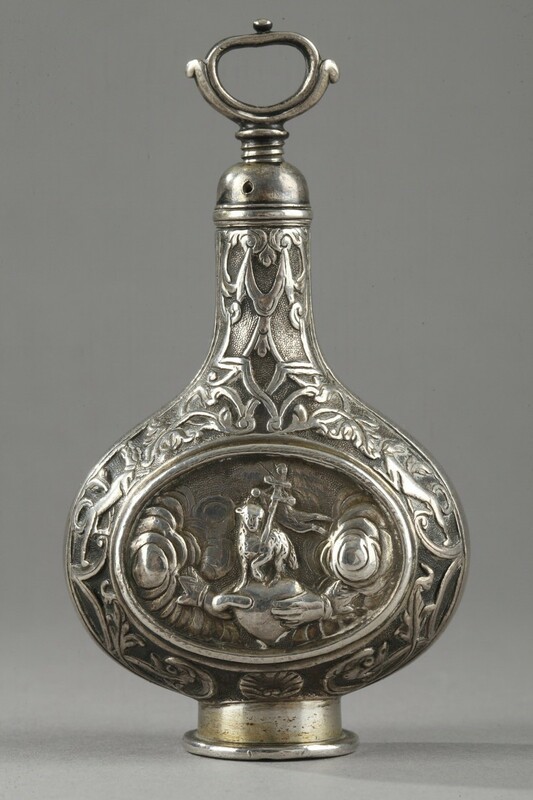 Early 18th century. The bottle shows wear of use.